Just when I thought I had enough gadgets to last me for a while, a company called Artefact has released a printing concept to make me – and I would expect all of you – drool like a baby grabbing for a new toy. The “See What You Print” printer is still a concept, but what a concept it is! The idea of being able to move, refine and edit your photos on the printer’s touch screen is a very clever design concept. According to the design specialists behind the SWYP printer, one will be able to “easily preview and edit on the touch-screen before printing. Just like you would do with the real paper. Check out the video below and visit the Artefact Group’s website for further information. Is this the direction of future printers? Tell us what you think. First of all, let me tell you that I live in Canada. And, although I have shopped in USA-based online stores such as Gymboree and BestDressedKids.Com, once I pay duty and shipping, these designer clothes start to lose their appeal pretty quickly. And the majority of Canadian stores have yet to join the age of technology, thus making it difficult for busy parents and grandparents to find affordable quality clothes for their children. For example, I am in love with Canadian store, Roots.Com. 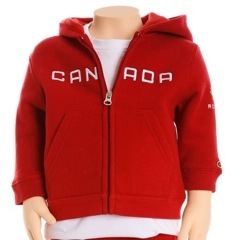 Their clothing line for adults and children is excellent and the quality is high. However, about a year ago, they discontinued the online availability of their children’s clothing line. Why? Who knows? And there is no Roots store in my town and, even if there was, the children’s clothing line is not available in every Roots store. So, I fired off a comment on Roots Facebook page and they did tell me that they will be re-instating the children’s clothing line in their online store in November. That was really great news. Yes, their clothing is considered casual but the quality is second to none. Another Montreal-based Canadian line that I love is PetitLem.Com but when you access their website, you see a generic homepage with little information and no online store access. In other words, it’s a nightmare here in Canada when it comes to finding clothing for your children online. Yes, there is Sears, Lands End, The Gap, Old Navy but, generally, I find the clothes too generic. However, out of desperation, I have purchased clothing from some of these stores, but usually it is sleepwear or casual wear. I honestly hope that the Canadian clothing industry become more progressive in their sales approach and soon take full advantage of the technology available to them. How about you? Has online shopping for children’s clothing been profitable for you? Do you know of any hidden gems that do offer quality children’s clothes online? Please share.